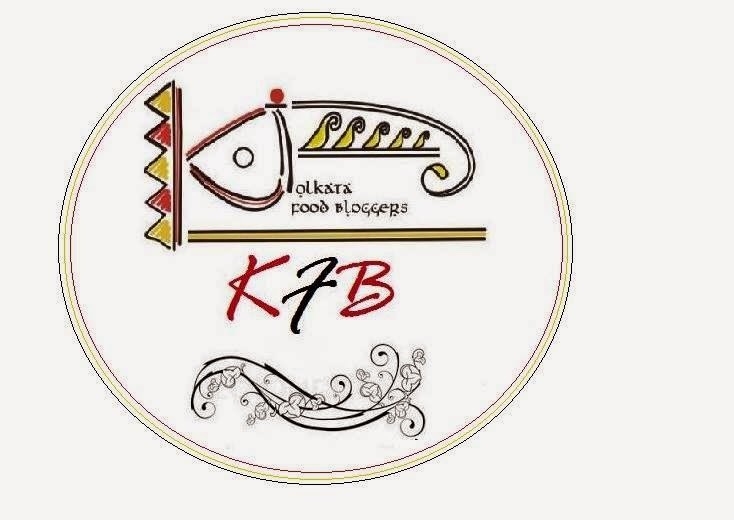 As part of Kolkata food bloggers, we are now a days featuring one of our blogger members on an weekly basis. We started with Kamalika of Silence Sings. here is a small chitchat with her which will help you to know your favourite blogger in a different light. Hope you will enjoy this small interview. Kamalika is my classmate and a childhood friend and I have known her for almost all my life. As both of us hail from the same place and had grown up with the same ideology so we have many things in common. She is very creative and hard working and her photographs are a drool worthy treat for any hungry soul. If you love easy and quick non veg bakes then her place is a must visit for you. Kamalika is a very creative person who runs her own designer boutique of exquisite handmade jewelries and crochet items side by side with a home-based baked items. She works as Freelance writer and translator (Bengali to English, English to Bengali), in which she mainly covers Book reviews, Food Product reviews, Restaurant Reviews and Photo Essays. Recently she has grown a keen interest towards Food Styling and Food Photography. She is an alumni of Visva-Bharati, Santiniketan. She expresses her culinary thought, passion towards Photography and activities via her blog, Silence Sings with Kamalika C, where she shares her experiences in the kitchen and of her life. From my childhood my sister and I were introduced by our parents with world cuisines. We used to travel a lot and loved to venture out new dishes of various forms of cuisines. My Dad is a great cook who is more prone towards experimental cooking and my mom who is also an awesome cook, always introduced us with the traditional form of cooking. And we used to have a lot of parties at home where we had seen our parents to cook and we too helped them. The cook- maids used to get a total off-day. It is then I grew a strong attraction towards cooking. Assisting parents in cooking are the real fun at the same time created a strong bond with the food and me. What was my first dish, I hardly remember. What I really remembered that My first whole lunch meal cooking experience that I wanted to surprise my mom as the Cook was absent that day. I cooked Aloor Dum (Bengali style Potato curry), Dal and Rice. But burnt my hand very badly while straining the boiled rice and suffered a lot for a long period. 4. How did you start your blog. After stepping to USA I found life too boring. Far away from my near and dear ones, the things I used to do were to cook, read and serf internet. One day one of my very good friend suggested me to start a blog. And I happily grabbed this opportunity and gave birth to my blog. After a tough search and debating all alone I titled my blog "Silence Sings with Kamalika C". For me every day I wake up with the music of silence. She sings aloud to reach her voice to each and every corner of the world. But nobody listens to the music of the silence. Then I thought to bring out the music to share with the world. A music, sometimes will be found very tuning and sometimes totally tuneless. But that is the bitter truth when silence sings she sings tunelessly tunefully. I started blogging by posting my thoughts, my write ups etc. 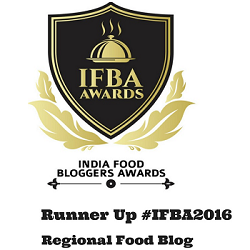 Then I never thought that I would be the part of the food blogging world and acknowledge myself as a food blogger. From my childhood I loved to cook and grew up with a keen interest in the world of different cuisine. My Dad and Mom are the great cooks who inspire me till date. Apart from them I used to read cook books and never try to miss any cookery shows. After marriage I tried my experimental culinary skill in full swing. I would like to thank my husband who many a time get tortured by my terrible experimental cooked dishes but never discouraged me. Every time I used to surprise him with some new dishes and clicking the picture of it. One day I posted one of my recipes on my blog. And then the journey just got started. Slowly I grow up a passion towards food photography too. I love contributing in my blog which is mainly based on food but it actually reflects my mind, my thoughts and how I see the world. I prefer to share the recipes which are very healthy and take very less time to cook. The dishes come direct from my kitchen and all are shared after tried and tasted. Clicking photographs and interacting with my readers. 6. Is normal photography similar to food photography? share few of your yips. how important for a blogger to interact with their readers? any funny incident so far. Absolutely not. I found Food Photography the hardest job that I am still learning everyday and experimenting with it. I am not that expert to give any tips. But I believe first you have to know your camera and the mode that you are comfortable with. And then the lights and the angles. Once you have adapted them well then you will learn very fast. I can't imagine my blog without my readers. They are the source of our inspiration. We get praised and criticised as well. That actually helps us to perform better and we learn a lot of things from our readers too. We many a times face many funny comments from some of our readers too. Once somebody commented seeing one of my Prawn dish pictures that the prawns were not fried well. I got so surprised and angry how someone from a picture assumed this and without tasting it commented like this. Yes visual effect matters a lot I learned on that day. 7. what are the things that you like and dislike about the food blogosphere . Once I stepped in to this world I found myself drown in some thousands and thousands of food blogs. Everyday, each blogger comes up with so many innovative recipes. Everyday I learn so many things form them. Mainly I become amazed by seeing the Food Photography practice that most of the food bloggers concentrate whole heartedly. But at the same time Food blogging has become so competitive that the essence of true blogging is getting baffled. With all the positive sides it has negative sides too. 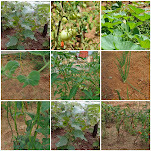 Many a times we find so many Food blogs that get run only by copy pasting the pictures and recipes from other bloggers. 8. where do you see yourself in next 5 years. Hope you liked this small interview with Kamalika. Please go and visit her place and leave your valuable comments. It's always nice to know fellow blogger, nice to read the post.